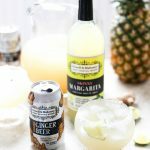 Just because the leaves are falling doesn’t mean you can’t enjoy a good Margarita! 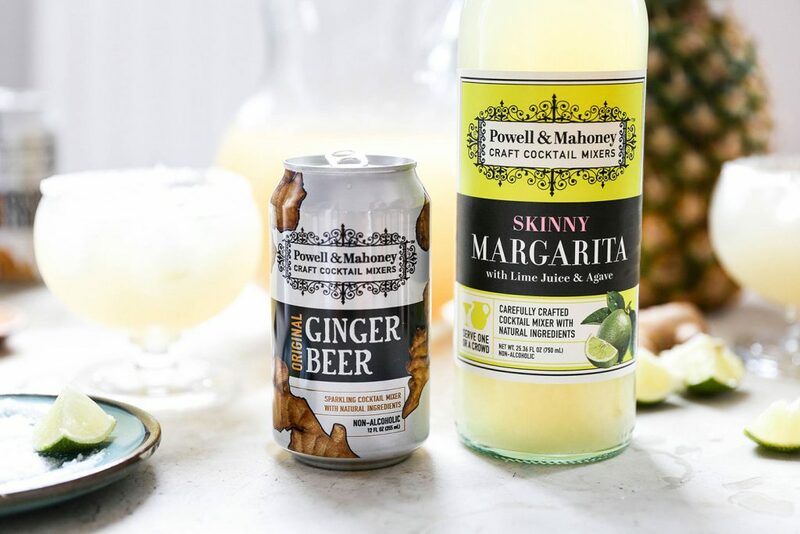 Our delicious Ginger Beer warms this cocktail right up making it perfect for all of your fall gatherings! Batch ahead to easily serve a crowd. Lightly crush the lime and fresh ginger in the bottom of a large pitcher. Add the Powell & Mahoney Skinny Margarita, pineapple juice and tequila. Refrigerate for at least 1 hour. Add the Powell & Mahoney Original Ginger Beer to the pitcher and stir gently to combine. Place a small amount of salt on a plate. Moisten the rim of your serving glasses by rubbing them with a lime wedge. Then invert the glasses over the salt, pressing down gently to coat. Add fresh ice to your prepared glasses. 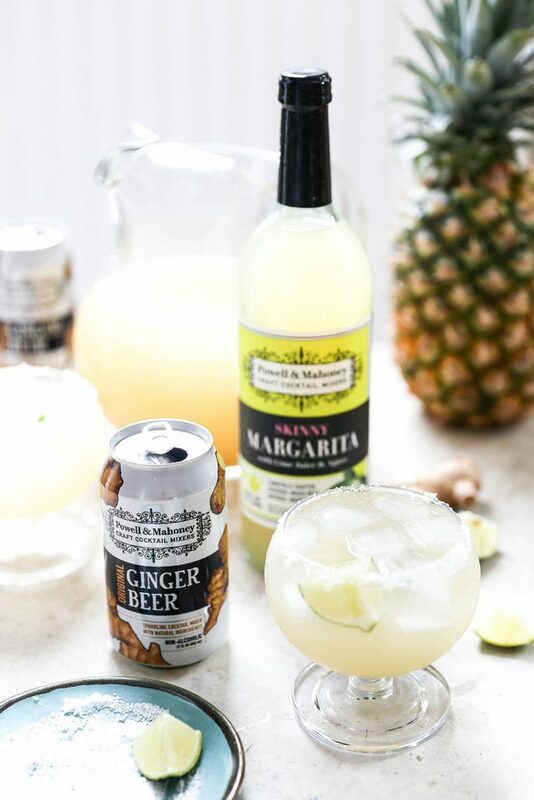 Pour in the chilled Sparkling Ginger and Pineapple Margaritas. Garnish with lime wedges and serve immediately.